Cuban Conquest | Food and Drink | Style Weekly - Richmond, VA local news, arts, and events. Follow the flavor to the three best Cuban restaurants in Richmond. 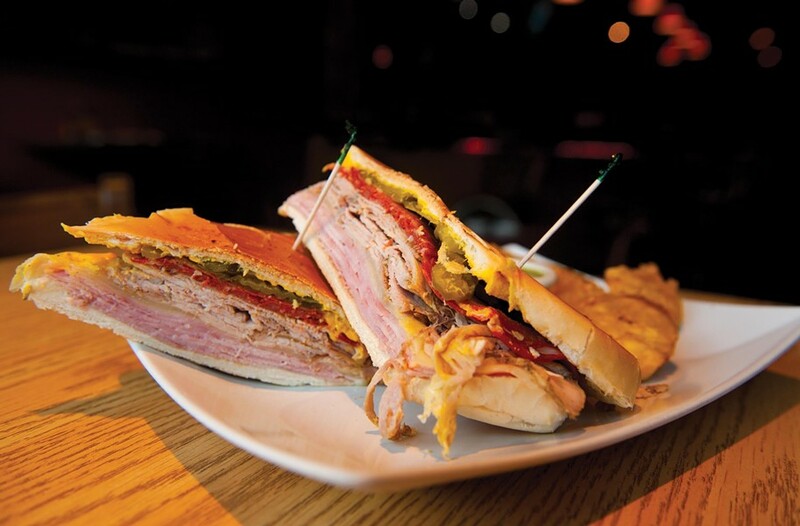 At the recently expanded Kenn-Tico Cuban Bar & Grill downtown, the Cuban sandwich is the area's most authentic version. A recent trip to Miami reacquainted me with the pleasures of good Cuban food. I made it my mission to sample Cuban sandwiches, mojitos and flan all over the capital of Latin America. Here in Richmond, when the weather takes a colder turn, you can kindle memories of warmth and sunshine at one of these Cuban spots that have different but worthy takes on the classics. Kenn-Tico makes the most authentic Cuban sandwich in Richmond, without question. The Cubano clasico ($7.50) is similar to what you'd find in many Miami restaurants: Cuban bread brushed with butter, filled with sweet ham, sliced roast pork, a light layer of yellow mustard, dill pickle slices, then pressed until cheese melts. The flavors meld, producing a harmony of tastes that's comforting and surprisingly mellow. Upgrade your side to the fried yucca with jalapeño mayonnaise dipping sauce for a dollar more. If pork's not your favorite but you want to stay authentic, try the ropa vieja ($5.99), incredibly tender shredded beef with onions, garlic and peppers on a soft Cuban roll. The extensive menu of mojitos ($7-7.50) offers fun variations on the classic rum, lime, mint, sugar and soda water classic with options including guava and floats of dark rum, but on my visit mine would have benefited from a stronger pour. The flan is also disappointing. While the texture and underlying flavor are perfect, it is overcaramelized, leaving a faint burnt flavor. A few minor problems need to be addressed for the recently enlarged Kenn-Tico to reach its full potential, but its turning out the most authentic Cuban food in Richmond and can transport you back to your last Miami (or Cuba, if you're lucky) vacation. Kuba Kuba is a Richmond institution, serving food that's best described as Cuban inspired. The Cuban sandwich ($6.95) is a case in point. It has smartly replaced traditional glazed ham with its salty Smithfield cousin. The roast pork is not thinly sliced; instead you get thick chunks. And to risk quibbling over details, it's pressed on a ribbed panino-style press instead of the traditional flat grill. The results are excellent. The thicker slices of roast pork lend heft, though its dominance is the sandwich's downfall on one visit when the pork is too dry. Nevertheless when well-executed, it's a rich and meaty meal of a sandwich. Even better is the Kubanaso ($7.95) which adds a generous portion of mildly spiced chorizo to create a decadent three-pork party. Kuba Kuba does not have a liquor license, so you'll have to get your mojito fix elsewhere. But it does have desserts, including flan and the celebrated tres leches cake. The flan is adequate, though the egg flavor is a bit too strong, but the tres leches cake deserves every accolade it's ever received. A sponge cake soaked in evaporated, condensed and whole milk, it's simultaneously light and rich, with a meringuelike icing that adds just the right touch of sweetness. With a cup of Cuban coffee, it's a perfect end to any meal. Monday - Thursday: 9 a.m. - 9:30 p.m.
Havana '59 has strayed furthest from its named inspiration, and has little on the menu that could be called traditional. Havana renders Cuban sandwiches as spring rolls ($7) that are surprisingly successful. Served with a piquant mustard dipping sauce, all the flavors are present, with ham, roast pork, cheese and pickles combined in a spring roll wrapper and deep fried. The taste of Habana ($20) is like a best-of entree of Cuban classics for those looking for traditional tastes. Including ropa vieja, shredded roast pork and Cuban chili, you'll find solid takes on each of these dishes even if none is truly noteworthy and your best bets are probably elsewhere on the menu. 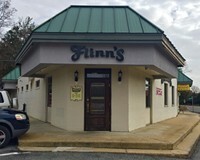 Monday—Saturday: bar at 4:30 p.m., dinner from 5 p.m.
A second outpost of the popular Fan restaurant will open in early 2015.